Since we’re spending a few days on neck posture, I thought I’d expand on what Mike said about bunnies in the first post: in most cases, it is awfully hard to tell the angle of the cervical column when looking at a live animal. Because necks lie. Take this horse (borrowed from here). You can see that the external outline of the neck, which is what you would see in the living animal, is pointed in a different direction than the cervical column. And here’s why. Many mammals carry their heads and necks so that the cranio-cervical joint is up high and the head is angled down from it. At the base of the neck, tall neural spines on the anterior thoracic vertebrae support the nuchal ligament, which lifts the body profile far above the cervical vertebrae. 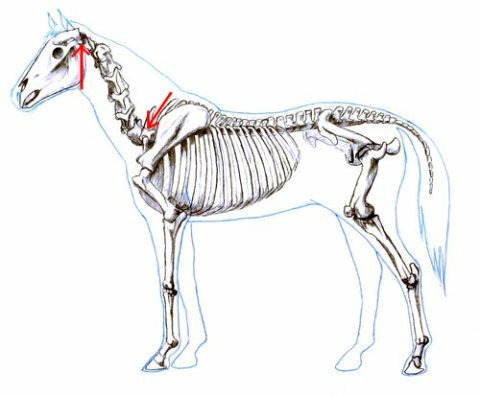 Basically, the cervicals run from the lower or middle part of the neck at its base to near the top of the neck at the head end. This mismatch holds no matter how the neck and head are oriented. 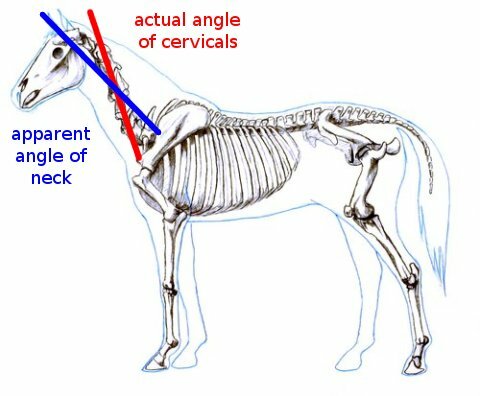 When the animal lowers its head to graze, the cervical column is still angled up relative to the apparent angle of the neck defined by its dorsal and ventral margins. But if you think that’s bad, you ain’t seen nothin’ yet. In most of the smaller birds, like this budgie (from Evans 1969:fig. 5-6) the neck is much longer and more flexible than you would think based on the external profile. And check out the mismatch between the cervical column (in front) and the trachea (behind). That’s not drawn incorrectly; the trachea is outside the bundle of neck muscles that encloses the vertebrae, and it is free to slide around all over the place, and does so in many birds. Also note that while the neck is extended past vertical, the extension occurs in the middle of the neck, not at the shoulder. The neck actually goes down from the craniocervical joint, not up. My guess is that there is a lot of this in climbing taxa that hold their torsos elevated. Vultures come to mind here, too. A useful reminder that in natural history we are usually dealing with norms, not laws. In the pigeon, note again the fact that the mid-cervicals are angled up much more sharply than is the external profile of the neck. In fact, the external profile of the neck is angled forward while the mid-cervicals are angled backward. This excellent reconstruction is from this page, which has several others which also show that necks lie. Lest anyone think that the pigeon was either an outlier or a case of artistic embellishment, here’s yet another rabbit, this time from Vidal et al. (1986: fig. 5a). Again, the mid-cervicals–actually, almost all of the cervicals–are angled backward, but the neck as a whole is pointing slightly forward. As an aside, I think possibly it has blown some people’s minds that we have used so many rabbits as examples, both in the paper and in our blog coverage. What can we say? Rabbits are awesome. Of course not all necks lie. 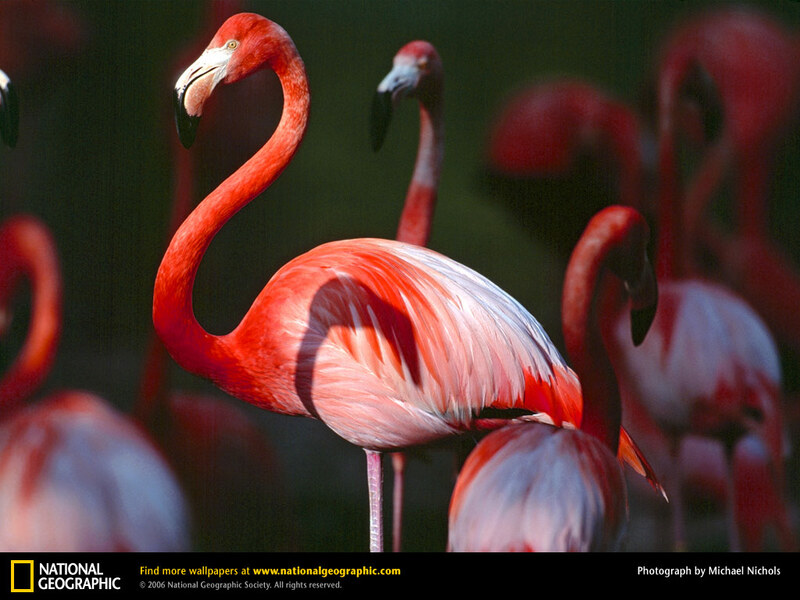 With flamingos, what you see is what you get. Let’s see here: necks not vertical. Trying . . . very . . . hard . . . and . . . just . . . getting . . . to . . . vertical! 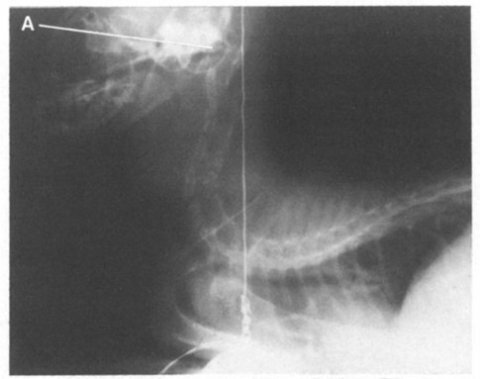 Cat, not trying at all: cervical column past vertical (Vidal et al. 1986: fig. 2). Rat, taking its ease (top): cervical column vertical. 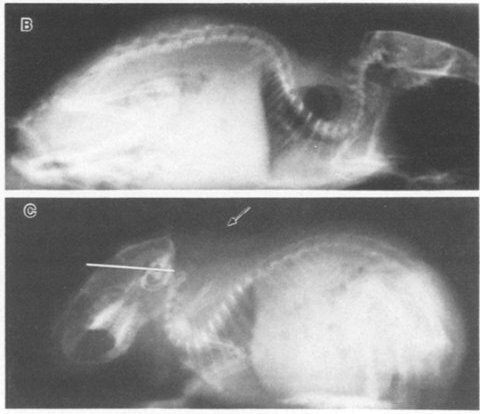 Guinea pig, straight chillin’ (bottom): cervical column past vertical (Vidal et al. 1986: fig. 5 b and c). Here’s the irony: for practically as long as sauropod neck posture has been contentious, giraffes have been held up as THE example of the most extreme (dude!) elevated neck postures out there. 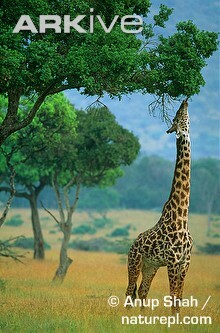 But in fact giraffes have to really reach to achieve vertical cervical postures that “ordinary” animals like cats, rats, guinea pigs, chickens, and, yes, rabbits, reach or exceed all the time. Good paleobiology has to start with good biology. It’s high time that the sauropod neck posture debate got a reality infusion. 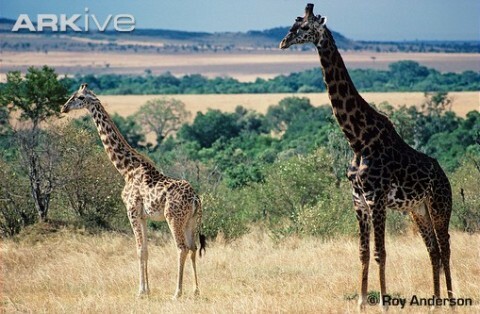 Giraffe necks are extreme in terms of length, but not in terms of posture. All right, you’ve suffered long enough. Here’s your sauropod vert. Care to guess what it is? Evans, H.E. 1969. 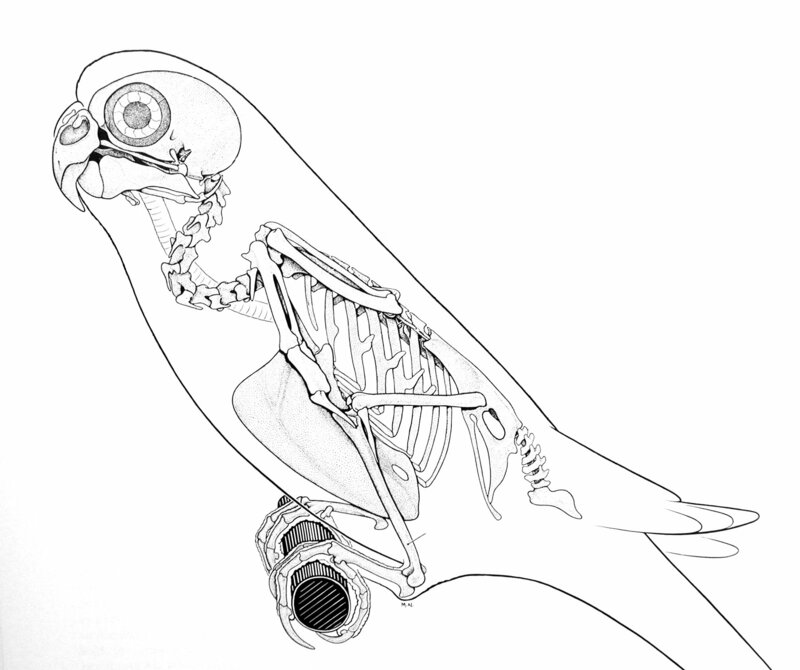 Anatomy of the budgerigar; pp. 45-112 in Petrak, M.L. (ed. 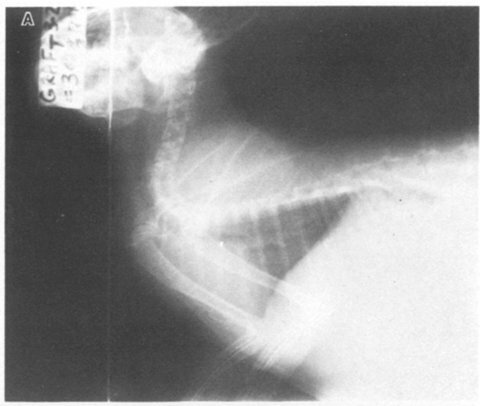 ), Diseases of Cage and Aviary Birds. Lea and Febiger, Philadelphia. Hi Matt, I won’t spoil the fun by ‘guessing’ what that vertebra is as I rather think I know. Just wanted to say that while there is a tleast one good record of an adult male giraffe being 20ft to the top of the head (without stretching up, and not including horns) that is a very, very big one. Most are only around 15-16ft, with females at 13-14 (give or take, obviously). Gosh, you’re right, that IS a better subheading. These last few posts have been fascinating! Fair enough, just didn’t want people geting the wrong impression about giraffe height (one guy one told me they were 50 feet high…). *I* know that, *you* know that, but not everyone knows that. That cervical is a tough one…. the profile screams “B.brancai” but I see a shadow of a second neural spine which obviously screams “Diplodocid”. 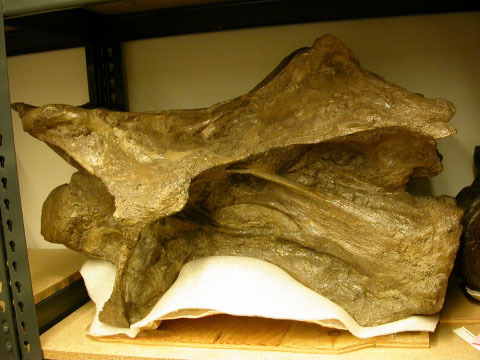 And that cervical rib arch sticking out is very diplodocid, almost like Apatosaurus, but the vertebra just has the wrong proportions for that. I’m gonna guess, Diplodocus. Barosaurus would be tempting, but I’ve never seen its vertebrae up close. 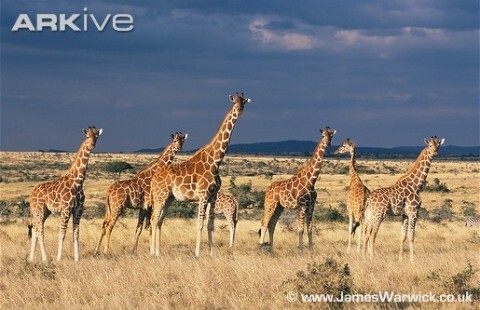 Got a question: what is the range of thickness of the discs in the spines of animals like giraffes or elephants? Is that sort of thing likely to be of any use in reconstructing sauropods or is it too variable? Seriously, a fascinating series of posts and the coolest thing is how obvious it seems – after it’s been pointed out by someone else. Is it possible to determine the dishonesty of a neck from fossils? Most restorations of dinosaurs have assumed necks that don’t lie (much), with the exception of some recent hadrosaurid illustrations. I look at the budgie and begin to think, what reason do we have to believe that sauropods’ necks really did stick way out, giraffelike? 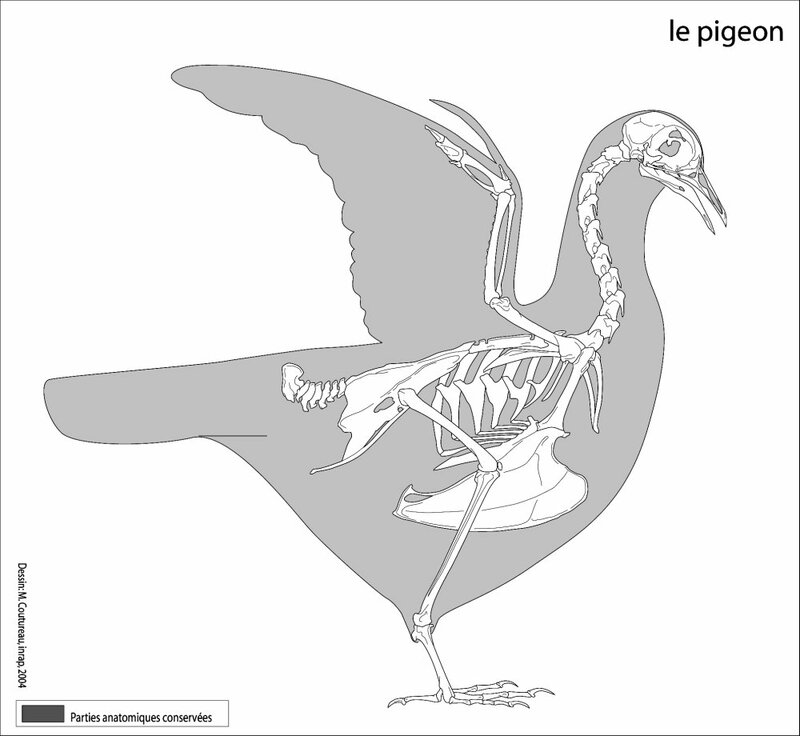 If we were reconstructing budgies from fossils with no extant relatives, wouldn’t we stick its neck like a goose’s? Would we argue over whether geese and flamingos both held their necks straight forward or straight up? Just as a matter of leverage, it would be much, much easier to hold up a neck with the ligaments and muscles not precisely parallel and nearly collinear with the verts. The easiest way to arrange that would be deep curvature. Has a sauropod ever been reconstructed with a neck that didn’t look like a tube sock stretched over the vertebrae? I think what Brad is asking is not about distortion of the vertebrae, but about how well the soft-tissue neck tracked the cervical column, as with the rabbit, budgie, etc. above (please correct me if I’m wrong!). In which case, I don’t know. Dinosaurs did not usually have withers over the shoulder, so there was not really anything to prop up the dorsal margin of the neck far beyond the cervical column. But they were similar to mammals in that the neck tended to attach pretty high on the back of the head (except in sauropods), so the front end of the neck might still have ‘lied’. FWIW, I think the recent recons of hadrosaurs with slabs of supporting tissue between the shoulders and the back of the head are loony. The entire justification for these seems to be “so-and-so thinks they couldn’t have gotten along without them”, rather than anything that might actually count as compelling morphological evidence. Good questions. It is worth remembering that in Taylor et al. (2009) we are not arguing for any specific angle for any given sauropod, just pointing out that tetrapods don’t hold their necks in ONP. I agree that the range of neck postures in birds in bewildering, but none of them (that anyone has looked at) use ONP for the alert posture. I would be interested to see if some birds DO hold their necks in ONP at other times, for example when flying. We need more research on this stuff! Yeaaaahhhh, but. Half the wacky hypotheses floating around about sauropods started from mechanical first principles like that. I’m not arguing that biomechanics wasn’t a central consideration for sauropods, just that I’m burned out on hypotheses that start out with mechanics and then go to biology–or, more often, start with mechanics, skip to sauropods, and never consider biology. Not to my knowledge. The closest thing would probably be the VERY tall, narrow necks reconstructed for brachiosaurids in the past decade, based on the assumption of a tall nuchal ligament positioned above the vertebrae. It is worth pointing out here that the external profile of the neck in the budgie is entirely determined by feathers. A plucked budgie has a skinny little neck that is not a whole lot thicker than the cervical column. So even the budgie has a “tube sock” neck (useful term, that). The same applies in varying degrees to all birds. RE: Hadrosaurids with horse necks: if memory serves (and memory is all I can go on now: I am exiled from my office do to electrical work for the next half week or more and thus away from books and hardcopy reprints) part of the argument stems from the soft tissue impressions in the AMNH Corythosaurus. Ah. I could be wrong. Certainly wouldn’t be the first time. If someone can dig up a citation for me, I’ll be very grateful, and might even have to perform hara-kiri here on the intert00bz. Dude, no need for hara-kiri. Just diminish and go in to the West. I like that word “nuchal” (of semitic origin, from a word for marrow or the spinal cord) referring to stuff dorsal to the vertebrae. How can the budgie’s trachea hang loose as shown in the drawing if the skin hugs the vertebral column? Does the drawing exaggerate the independence of the trachea, or is the skin loose to make room for it? Anyway, point taken; a budgie obviously doesn’t need structural support as badly as the flamingo that manages fine with just its tube sock. I wonder, though, about any equivalents to sauropod structures in flamingo verts, with a role in support. I imagine a tendon threading the length of the nape, with a clamp at each vert that can let it slide through, or latch on, according to the desired curvature at that spot. Dude, flamingo cervicals have NO structures. They are tubes. Seriously. Go look at a flamingo skeleton, it’s the most stupid thing you’ve ever seen. The latter. I didn’t really mean that the skin is stuck tight to the verts–obviously there is a tube sock of muscle and an esophagus plus the trachea. I should have said that the soft-tissue neck is still basically a fat tube sock, and not a horse neck. Man, we’re getting some useful new terms going here. I’ve got twenty bucks for the first person get the words “tube sock” into a peer-reviewed paper on necks. I’ve watched flamingo necks do astonishing things, albeit very systematically. Evidently it doesn’t take any obvious osteo structures to achieve that. I would find it hard to believe nobody has studied how they manage to do it, except that Darren hints that very little of any such work has been done. In the meantime, I just discovered that the hundreds of thousands of microscopic (literally — one fills my daughter’s microscope frame at 160x) insects swarming my backyard this weekend represent just one of the 4700 counted species of thrips, more than extant Mammalia. I imagine an army of biologists spying out new thrip species, all ignoring the astonishing mechanics of flamingo neck motion. I imagine an army of biologists spying out new thrip species, all ignoring the astonishing mechanics of flamingo neck motion. Probably just a couple of weirdos in a basement somewhere. Haha! Entomologists are such losers. Looking at that weird budgie diagram.. and reading all the above.. does the budgie trachea, then, constrain how long-and-straight-out it can stretch its neck? I mean, is the neck perpetually and unavoidably held kinked by the shortness of the trachea? The budgie neck then is constrained by soft tissue to a range of postures far more limited than the bones alone might suggest..? The necessary function of the trachea (to remain a patent, unflattened tube for effective airflow at all +ve and -ve pressure phases of the breathing cycle) would seem more to limit its variability in length than its flexibility. Like a vacuum-cleaner hose (and for the same reason), tracheae are made reasonably bendy – but maybe not really stretchy? Perhaps you even remember this nice exponats from the NHM Berlin. If you want, you can also use them for SVPOW. Oh my god. I just stumbled across this blog looking for pictures of bunnies, of all things–coolest blog EVER, man! Wow! I’m a bio major at a university in Boston pursuing animal behavior and ecology, and I’ve never actually found a blog on vertebrate morphology before =D Awesome.